Real Madrid star Cristiano Ronaldo and Brazilian model Alessandra Ambrosio appear in the last cover of GQ magazine posing top less and showing their good shape. The footballer and the model looked wonderful in the photo-shoot that took place last October, although it hasn’t been published until now. 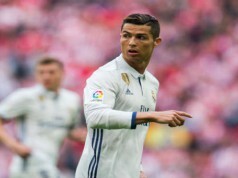 In the interview with GQ, Ronaldo shared his thoughts about his future and hinted he could end up playing in the United States: “For now I want to keep playing at Madrid at a great level, but I don’t rule out the possibility of living in the United States one day and playing there. The MLS has grown and is a very attractive league,” he said. The pair certainly look to have good feeling. 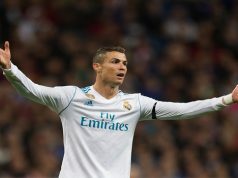 Ronaldo has not had a official girlfriend since he broke up with model Irina Shayk. Could this be the start of a new relationship?